It has arrived. 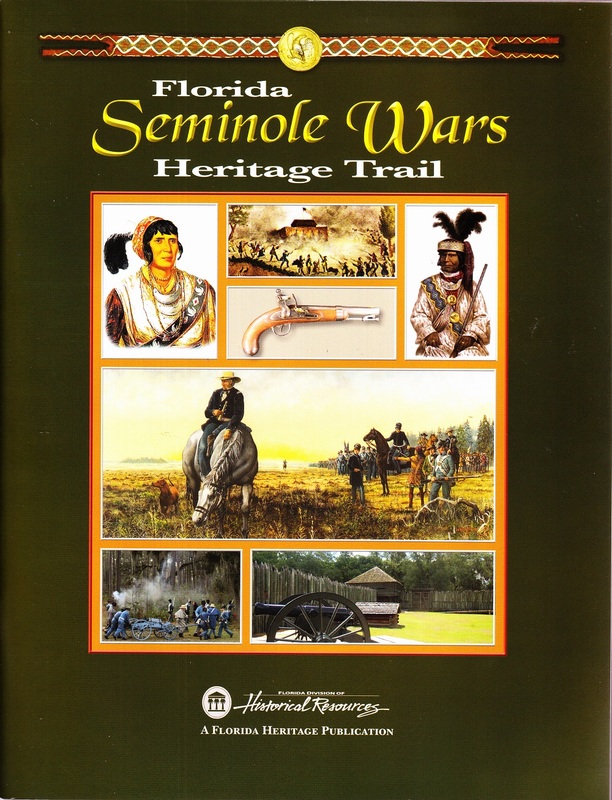 The official inaugural for the Florida Seminole Wars Heritage Trail will be on August 15th, in St. Augustine, at our ceremony to commemorate the 2nd Seminole War. You can download a free copy of the trail book at the website listed above, or pick up a copy at several museums and locations throughout the state of Florida, or at state highway welcome centers for free. That’s right; it is free. This is a beautiful, 56 page booklet. 60 pages, if you count the covers, front and back. I have several copies of this book with me right now, but have been asked to keep it under wraps until the 15th. But, I hope that you will not mind if I share with you the front cover. There is so much more. It turned out better than expected. I cannot wait to share more with you. It has been two years of hard work, especially John and Mary Lou Missall. From our brainstorming of what to include in the book, to what we now have. This is something that I dreamed about publishing since 1993. But instead of just myself, it has been a collaborative effort with my friends and the most knowledgeable people on the subject of the Florida Seminole Wars. It turned out much better than I could have ever imagined. Even better, it will be easily accessible to everybody. 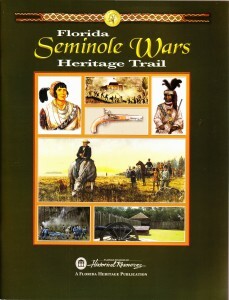 I think that it will be one of the greatest things imaginable that we have ever seen to boost interest in the subject of Florida Seminole War history. I would imagine that Dade Battlefield and Fort Cooper will show a significant increase in park visitor attendance.